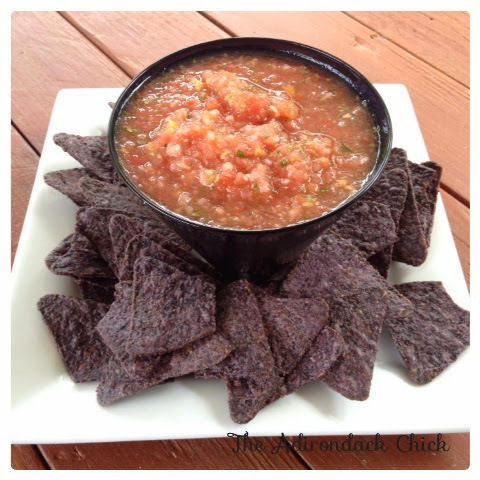 Once making fresh salsa, you will never, well almost never, buy jared salsa again. 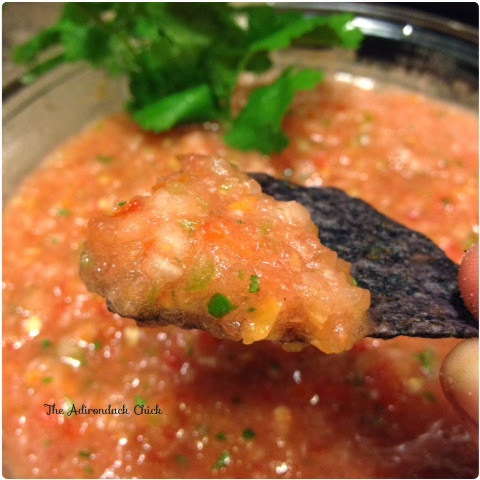 This Habanero Salsa is spicy, healthy, vegan, gluten free and sugar free. As always season appropriately to fit your tastes. I sometimes use two habanero peppers to give it extra kick, but start with one and see how you like it. Same goes for the cilantro. I like the herb, so I always had extra. But, start with few sprigs and then add more to fit your taste. Make ahead or serve immediately. 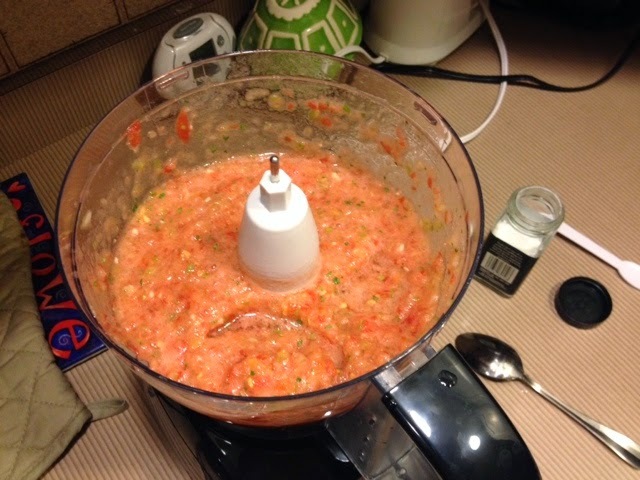 Quarter the tomatoes, green pepper, onion and garlic, and place in a food processor. Cut the habanero in half and add in. Add in the salt and several sprigs of cilantro. 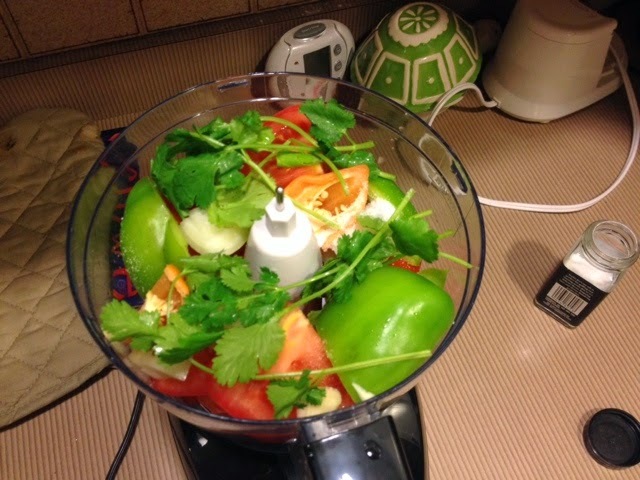 Process until all the vegetables are finely chopped.